DESARDI® Classic is a serie of traditional vinyl wallcovering products with a matte finish in a range of creative textures. The vinyl coated products are available with two different backings depending on the application. DESARDI® Classic is durable, washable, flame retardant, and has a high image quality. There are different textures available with a paper-backing or non-woven backing. DESARDI® Eco is an innovative PVC and Plasticizer free wall covering range for environments demanding green and safe products. The market for PVC-free products is growing. It is easier to recycle and dispose than products containing PVC or plasticizers. This range is designed to offer a more environmentally conscious alternative. 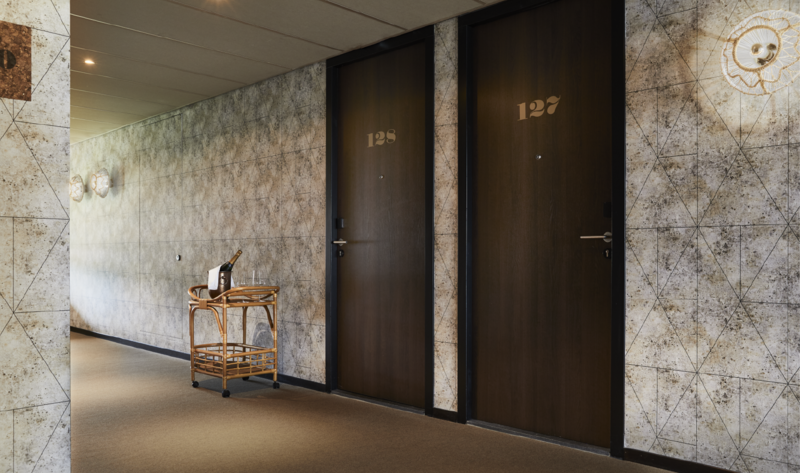 DESARDI® Walltex is a range of high-end, heavy weight fabric-backed wallcovering products. DESARDI® Walltex is Bio-Pruf treated, a technology that provides long lasting antimicrobial protection, making it the perfect choice for hospitals and other wall covering projects. With the master distribution of the DESARDI® brand, Sentec is one of the leading distributors of digital printable wallpapers worldwide. The brand is designed for architects, interior designers, brand owners and other creatives. The successful and proven media range is supported by printed collection swatches, sample rolls and technical documentation. As handling the product is equally important as making a perfect print. It is easy to damage a perfect print without the necessary skills and knowledge to mount the product.